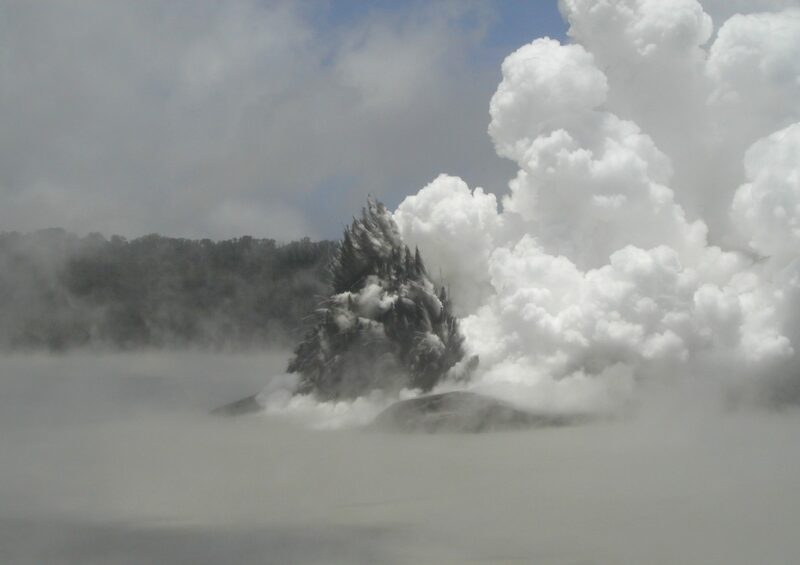 The Commission on Volcanic Lakes (CVL) is a scientific, non-profit organization of the International Association of Volcanology and Chemistry of the Earth’s Interior (IAVCEI), connecting researchers that seek to understand how volcanic lakes relate to volcanic activity and their hazards. To accomplish these goals, to move and promote our scientific object -the volcanic lake- at CVL we believe face-to-face meetings to exchange ideas remains the most efficient way. This has created a familiar environment among people, which on its turn let to new “idées-fixes” and collaborations. CVL organizes triannual workshops, always at a different location, near another volcanic lake or area housing lakes. Following the presentation of several proposals, the site of the “next” workshop CVL10 is chosen democratically within the community. So far, 9 workshops have been organized since 1990. The quotes below will soon convince you that there are innumerous reasons to deepen our knowledge on volcanic lakes, and… for the CVL community to exist.